Edge strip extraction systems are used in print shops, in bookbinding shops, in the manufacture of labels and packaging (films and composites) and in the manufacture of textiles. 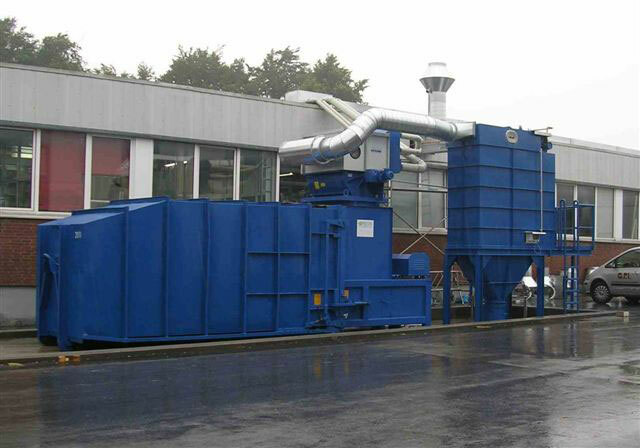 Our edge strip extraction systems convey cut-off and endless materials from the place where they are generated via a piping system to a filter separator with upstream centrifugal separator and into a cellular wheel sluice as the discharge unit. 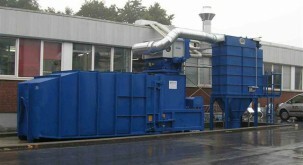 The waste is conveyed into big bags or press containers, depending on the quantity. The edge strip extraction systems are suitable both for indoor and outdoor installation. The return of the exhaust air to the hall is possible with summer/winter switching.